John was born on 1860 and completed his carpentry apprenticeship at Harvey & Co, Hayle, where he then went on to become head carpenter. The box is made from various woods and shows many carpentry skills. There is a mirror on the inside of the lid, a removable tray that consists of many compartments and pin cushions. 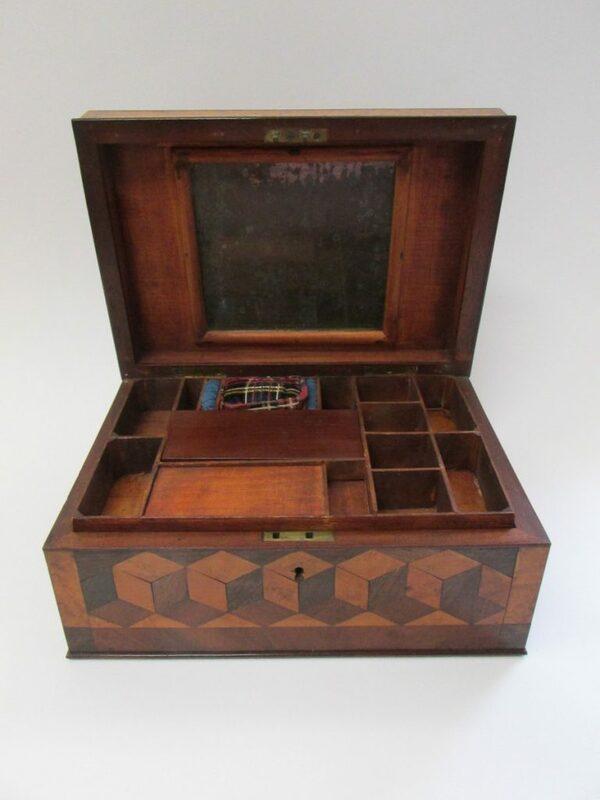 It is probable that it was used as a sewing box. 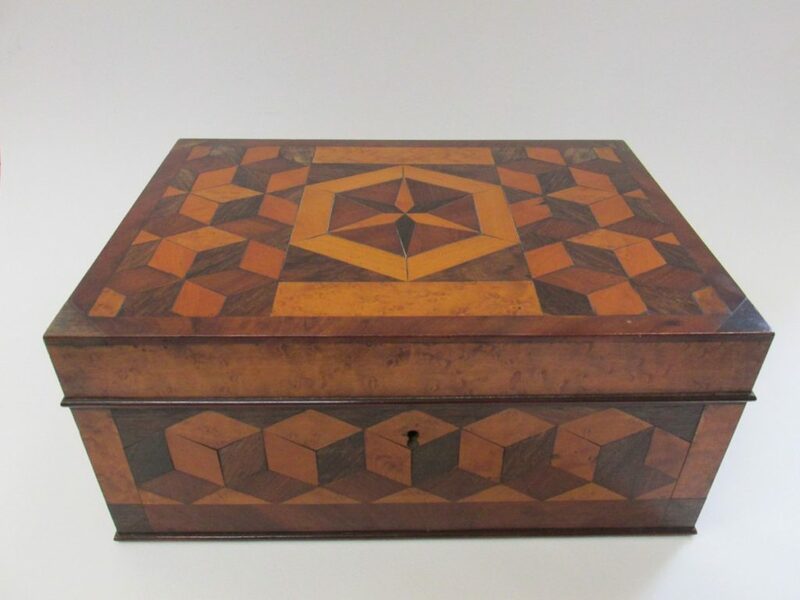 The box was kindly donated by Mrs E Honess who is John Harvey’s granddaughter, on behalf of Mary Alford.